If you are looking for things to do near Parque Tayrona, you can visit Taironaka for the day or stay in one of their nine cabañas. 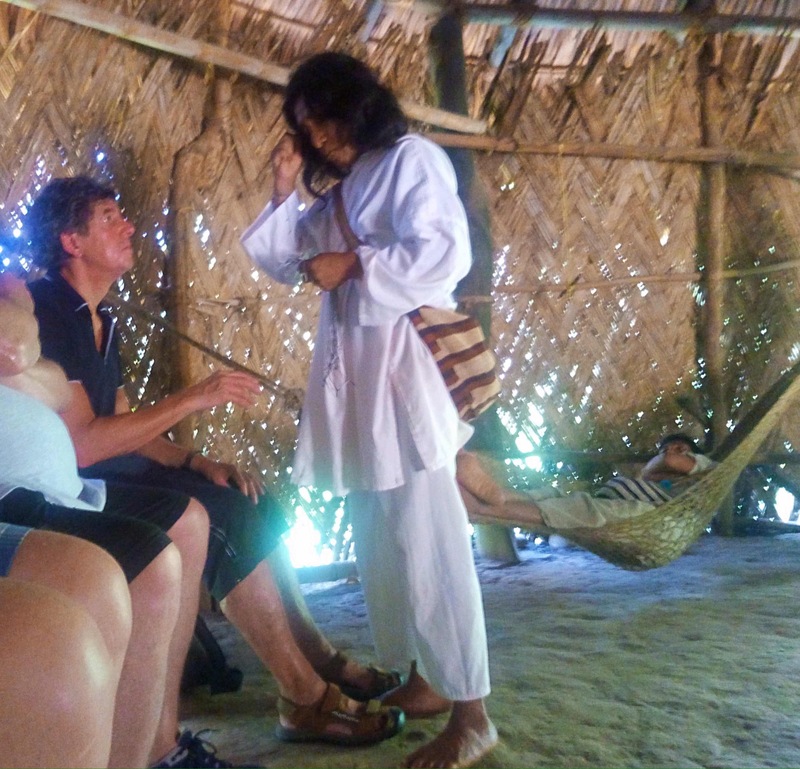 The cabañas are a great place to stay if you want to explore Parque Tayrona and the surrounding area while learning about and experiencing the Kogui culture. It is a place to unwind and really enjoy nature. The land seems to be truly magical and emanates a quiet peacefulness. After arriving to the parking lot, you have two options for arrival to Taironaka. By land or by water. You can walk along the trail or you can take a lancha the few minutes down the river. Both provide a brief glimpse into the flora and fauna of the area. If you plan to take the trail I would suggest having trainers on instead of sandals as it can get rocky in some areas. Once you arrive, you can order a cold beverage from the restaurant. My favorite is the panela (sugar cane) water with lime juice. You can find this drink all around Colombia, but Taironaka makes my favorite. It’s just the right mix of water, panela, and lime juice and so refreshing. You can walk around the grounds for awhile, and then take the tour of the museum. 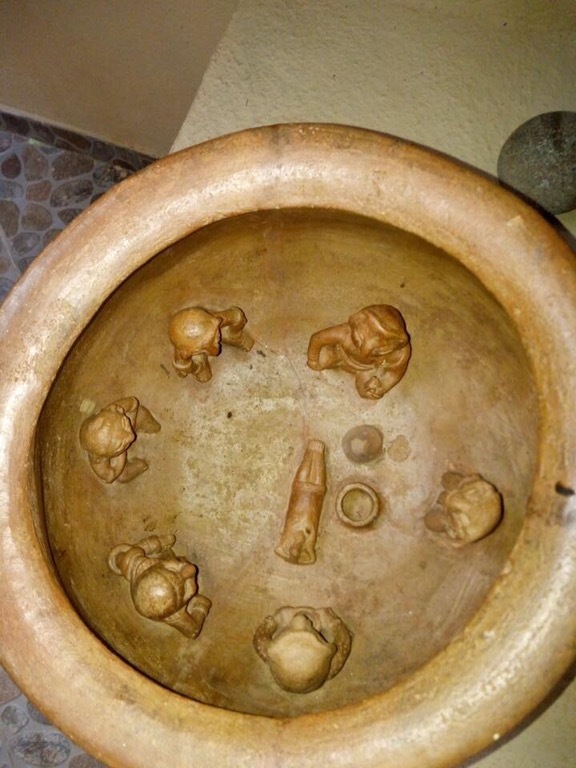 The museum has more than 300 pieces from the Tairona region and the guide gives a good explanation of typical traditions and customs. i.e. The visual replications in the pottery were like a camera for them, often times portraying burial ceremonies and other important events. Another activity offered at Taironaka is participating in a Kogui ritual. The ceremony is led by the mamo, the leader or shaman of the Kogui group. The particular ceremony I attended was brief, more of a blessing where the participants are asked to think good thoughts while the mamo ties a thread bracelet around each wrist. The family of the mamo is often in the room or nearby as they always travel together. The last activity that I did was a half day of tubing. A guide from Bello Tours meets you at Taironaka early in the morning. 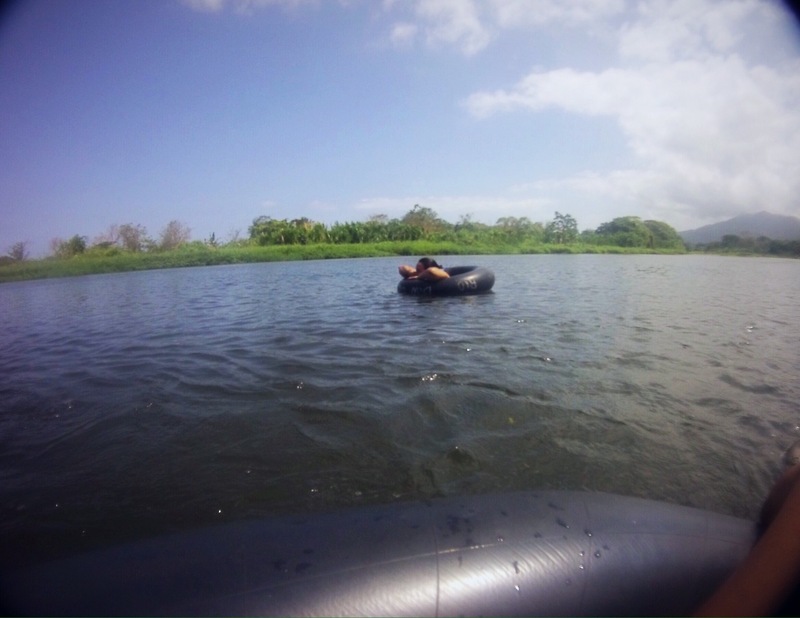 There are different departure points depending on how long you’d like to float down the Don Diego River. We had time, so we walked about 45 minutes or so through the jungle (don’t forget your repellent!) to the starting point. You enter the water and begin your float down the river. Many people stop for a swim, and the guide will point out different birds, monkeys, trees, etc. Our tubing experience lasted about 3 hours, and ended at a tiny beach where the river meets the sea. To complete my time at Taironaka, I went back and had an amazing fish lunch, followed by a siesta in one of the most comfortable hammocks I have ever laid in.